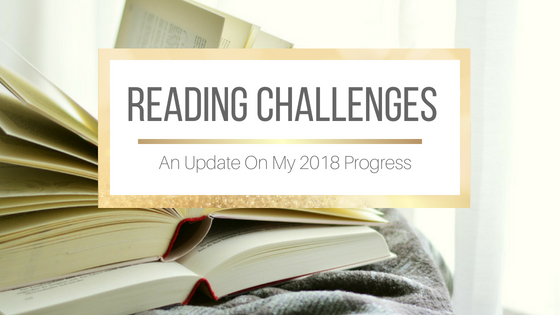 As I've dropped way behind with my reading wrap ups, I thought it would be a good idea to bring you all up to speed on my reading challenge progress so far this year. I signed up to take part in both the A to Z Reading Challenge (adult and kidlit versions), and the Beat the Backlist Reading Challenge this year, and although I have been reading, I've not been all that good at updating my progress on the various sites. To find out more about each book just click on the title. Books listed that have a * by them also count towards Beat The Backlist. How are you doing with your reading challenges so far? Great post. You have read a lot this year. Thanks. I had planned on reading a lot more. Hoping to catch up with my TBR a bit over the summer months. You are so organized! I need to do better at keeping track and think that the A to Z challenge is a great way to do that! I wish I was more organised. I've been terrible about posting my updates to the individual challenge websites. I find challenges motivating. I totally understand that they aren't for everyone though. I did the Alphabet challenge last year and although I started strong, I puttered out too. If you need any help thinking of titles, here is my summary from last year. Towards the end of the year, I started cutting corners and letting the letters be anywhere in the title to count. I did enjoy the push to find new book and new authors though. Oh this would be hard for me, 3 of the books I read in May started with A. An most of books I have read this year started with "The", I saw your solution but still... kind of cheating. hahahah But I like the challenge, I will have to think about the list to begin. So many books start with A and The. The guidelines for the challenge stated it could be done this way. If I get through my list I might try to find other books without the "The" at the start. All the books I'm reading for the challenge are books I already have on my TBR to read. Thanks. Hoping I'll manage to fit in a lot more reading over the summer once my kids have finished with their sports training and competitions. Will be so nice to finally relax with my books. I enjoyed the first book. I'm reading the second book in the series now. That's good steady progress. I'm way too distractable to take on a challenge like that! Love the way you have it all organised. I read so erratically and randomly. Taking in tips from.here. Thanks. Hoping to get more organised. I'm seriously impressed with how many books you've read and how organized you are!! I feel like I would forget to record all the books I read if I tried to do a challenge like this. Thank you. I try to update my read list every time I finish a book. I usually post a star rating to Goodreads and mark it as read as soon as I finish reading a book. This way I have a record of the all titles. I wrote up a list of books I wanted to read for the challenges at the start so I can always check them off on that too. It's a work in progress but I hope to have a book for every letter by the end of the year. Great post, from your A-Z I have only read one and that is on your KidLit section. Some good choices though.